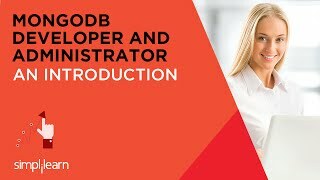 To Become MongoDB Certified Developer, DBA Now. Simplilearns MongoDB® Certification Training in New York helps you master NOSQL Database, MongoDB Architecture, CRUD, Schema Design, data modeling, ingestion, query, sharding, and data replication and more. Throughout this Instructor-lead MongoDB Training you will be working on real time data base projects in e-learning, retail, telecom and other domains using Simplilearn's Cloud lab. 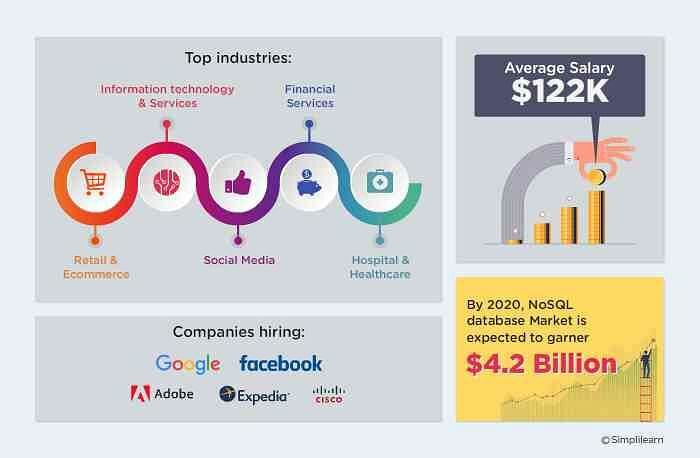 This Mongodb Certification course also prepares you for Mongodb Certified Developer (C100DEV) and MongoDB Certified DBA (C100DBA) Associate Level Certifications . This Data Base development & Administration Training best suited for database administrators, software developers, system administrators, and analytics professionals. MongoDB Developer and Administrator certification from Simplilearn would equip you to master the skills to become MongoDB experienced professional.